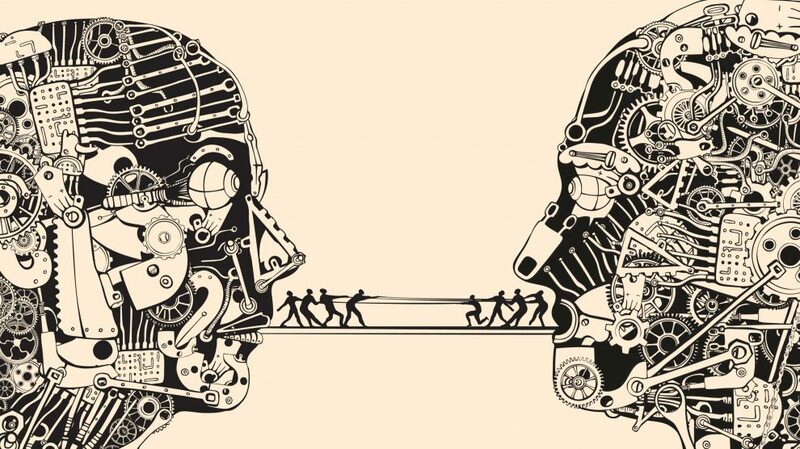 Within the last 24 hours three major parties have jumped in on the crypto-debate and simply added to the noise surrounding the discussion, within which there is a dearth of quality and thus not much by the way of progress. These latest three interventions fail to achieve much more than highlight the necessity for a substantive and sincere discussion worthy of the questions that cryptocurrencies raise. 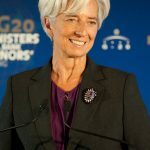 Christine Lagarde, Managing Director of the IMF, yesterday articulated her idea to “fight fire with fire”, which would entail governments using blockchain and cryptocurrency technology to combat fraud, money laundering and illegal transactions. Her intervention in the crypto-debate was ostensibly well-meaning, stating, “It would not be wise to dismiss crypto-assets; we must welcome their potential but also recognise their risks”. She is the second major central banker to assume such a stance, with Mark Carney, Governor of the Bank of England, also towing a similar line that pointed to cryptocurrencies and blockchain as the future, but a future which needs a cautious and tentative approach. Lagarde’s comments, however, are closer to the view we’ve come to expect from establishment figures, that is, they are laced with a heavy vein of misunderstanding. In her IMF blog post, she identified two ways crypto-tech could be used to prevent harmful effects. The first was to create some form of shared system which would allow for information sharing among well-meaning actors: “The technology that enables instant global transactions could be used to create registries of standard, verified, customer information along with digital signatures”. Her second point was less specific: “Biometrics, artificial intelligence, and cryptography can enhance digital security and identify suspicious transactions in close to real time”. We have been used to the likes of Jamie Dimon (CEO of JP Morgan Chase) and Warren Buffett (CEO of Berkshire Hathaway) making statements which reject the validity of crypto-assets, and in doing so display that they don’t quite understand the world they’re commenting on. But Lagarde has vaulted clean over the bar of misunderstanding they set into a new realm where the atmosphere is thick with the pungent need to hire an aide who knows what they’re talking about when it comes to cryptocurrencies. Her ideas amount to the creation of exactly what cryptocurrencies were set up avoid: a ‘trusted’ third party which has a monopoly on information. In order to set up a verified registry accessible by digital signatures, the state would need to be the sole arbiter of the ‘truth’, thus instantly making a distributed ledger where the truth is held by consensus redundant. She was much less specific on her plans for biometrics and AI, but it seems unlikely she’ll have inspired confidence in handling such problematic concepts. Cryptocurrencies are in their early days and dissenting views are as useful as the bullish, but whichever view one takes making headway is unlikely to be achieved via a fundamental misunderstanding of the topic on which one opines. Last month we published an article entitled “Facebook throws the Bitcoin baby out with the Russian bathwater”, which made the argument that Facebook had become so worried about their role in not preventing Russian election interference that they had a knee-jerk reaction to cryptocurrencies and banned their advertising on the site. There may still be an element of that, but now Google has jumped on the bandwagon and banned crypto-adverts. Big Tech seems to be very scared of being accused of not acting when they could have to prevent harm, except we don’t really know how much harm cryptocurrencies are causing. I think it would be rare for anyone to refer to someone who smokes weed as a “dope fiend” nowadays, let alone to expect the kind of behaviour articulated by this police chief. How out of touch did he have to be to deliver that kind of an assessment of the situation? While cryptocurrencies definitely have their bad actors, there should still be a desire to end up on the right side of history; this passage speaks to the other side of history which is the potential destination for those willing to get too swept up in the fear derived from their ever dissipating control. Google, Facebook, Lagarde, Dimon, Buffet… they are all reacting to what they perceive to be a prevailing mood towards viewing cryptocurrencies as a threat, and they don’t seem to have done their homework. It is entirely plausible that years down the line, when cryptocurrencies are ubiquitous, we look back on their statements and actions as we look back on the police chief railing against dope fiends – as a disproportionate overreaction from entities whose dominance is under threat. Google, like Facebook, has spotted cryptocurrencies as a specific and discrete area which can be targeted without much by the way of free speech infringements. They can update their ad policies quickly and look like they’re socially responsible actors, future proofing society against problematic innovations. Meanwhile what their actions actually amount to is an absolution of responsibility, Bitcoin’s price hasn’t budged much off the back of the news in part because it poses no real threat to the cryptocurrency’s well-being. So Google have succeeded in looking socially responsible, while not upsetting free speech too much and expending almost zero resources on the endeavour – and this is all while contributing towards the misshapen zeitgeist rather than any genuine development of the situation. Alas, progressive action on the matter seems to have fallen to a pair of Harvard rowing bros. The pair, who are heavily invested in Bitcoin and run the Gemini cryptocurrency trading exchange, posted a statement on their website which presented their vision for a new industry sponsored self-regulatory organisation called the Virtual Commodity Association (VCA). There are still those who think cryptocurrencies should not bend to state will at all, and don’t need to. People who think the only way to achieve what cryptocurrencies have set out to achieve is by not giving an inch on regulation, and only a completely free crypto market will lead to an equilibrium conducive to individual freedom. This is an area of the argument that time will have to adjudicate on, at the moment the discourse is not close to resolving it or reconciling crypto-libertarianism with the status quo because the occupants of the status quo position are so poorly informed on the topic. 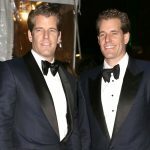 The Winklevii have, however, gone to the length of a fairly full justification of their proposal, defining terms, contrasting assets and detailing arrangements. The mere quality of their intervention in the discussion reaches a level far beyond that which central bankers, the CEOs of the world’s biggest private banks and the leaders of the biggest tech firms have been able to achieve or even striven for. Regardless of whether their idea is good or preferable, it may be that it can serve to display what an informed contribution to the crypto-debate looks like. A sorry state of affairs it might be, to set the bar so low. But low it does seem to be set.